Happy Anniversary Auckland, the beautiful little city that has crept into our hearts. This weekend we’ve enjoyed some of the best weather so far this Summer, with the temperature being 25°C at 10.25pm on Saturday night. We were in the city to watch the harbour bridge being lit up but as we’d spent the earlier part of the evening at our local beach, it was a bit of a mad dash to get cleaned up and do the 40 minute drive to the heart of the city, find a car park and a suitable spot to view the light show. It may not be the Sydney Harbour Bridge, or Golden Gate, but it is our bridge connecting the north shore to the city – World Famous in New Zealand! And it was beautiful! Watch the light show here. 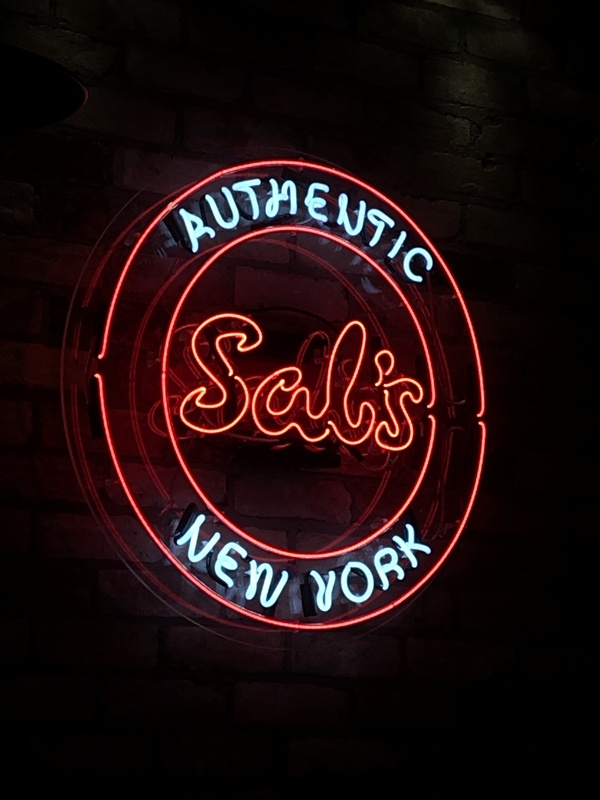 We were starving by the time the show ended a little after 9.15pm so headed over to Sal’s Pizzeria where you buy pizza by the slice. Obviously you can order the whole thing, but being 18 inches, they’re enormous! Still, I managed to stuff 2 overly large slices into my tummy and was grateful for the walk back to the car through the city, enjoying the sights and sounds. 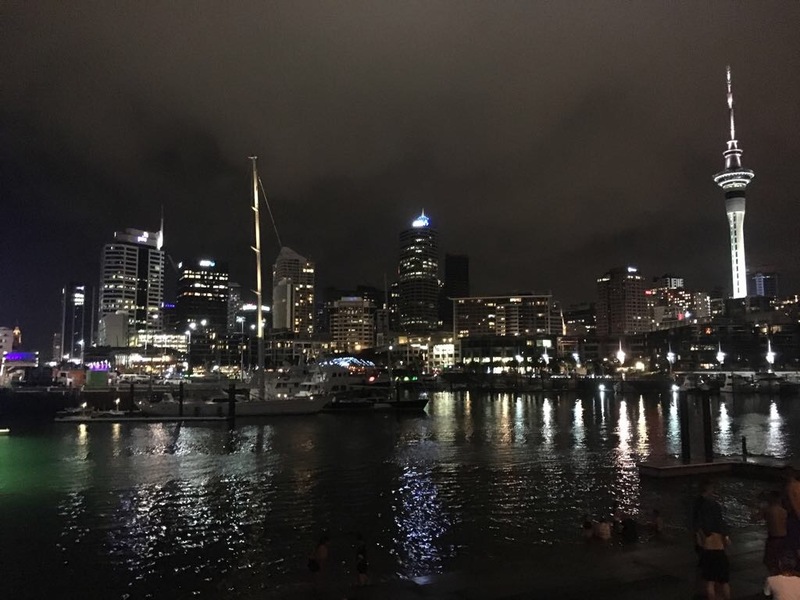 If you ever visit Auckland, or are a local and pop out for an evening, Auckland has many world class restaurants, but Sal’s is a great place to stop if you find yourself wandering around the Wynyard Quarter area of the waterfront. 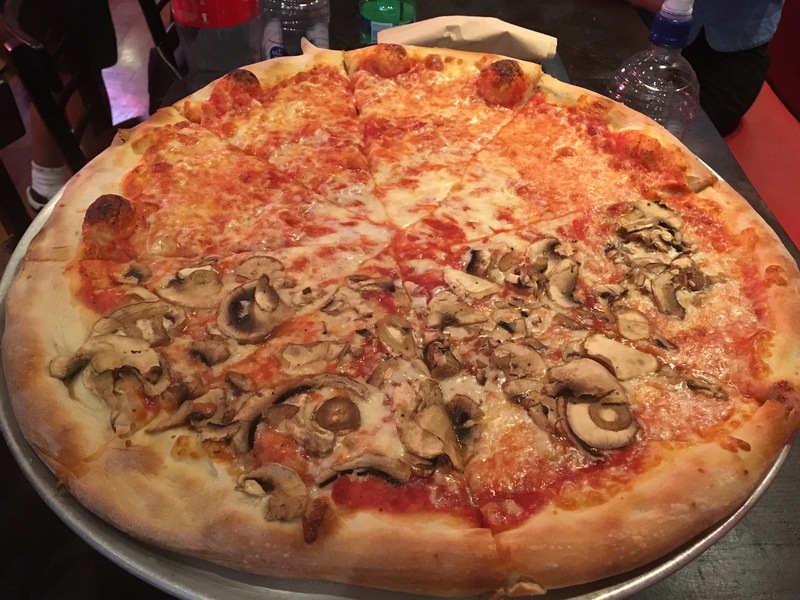 Originating from the big apple, you’re promised the true taste of New York pizza. Sadly they aren’t wood-fired, but are still lip-smackingly delicious. Even the neon lights and buzz in the eatery bring a little of the NYC electricity to life. Happy to go along with my husband’s choice of mushrooms and son’s choice of cheesy tomato, we had a couple of slices left over to bring home for next day snacks. Great friendly service, I highly recommend a visit. And if you aren’t partial to pizza, they have an extended menu of New York pies, buffalo wings, pepperoni wheels and mozzarella sticks. The light show only lasted a few minutes but was repeated throughout the night, and true to Auckland’s weather, we even had a light sprinkling of rain while waiting, but far from dashing off to find cover, I relished the moment by staying put and enjoying the fresh scent of the new rain drops as they softly landed on our hair, skin and clothes. With school starting back this weekend, all uniforms have been washed, books have been covered and I now only need to label everything, but today is Monday, another day to enjoy not having to go to work. What beckons? Gardening? The beach? A good book? Or a bike ride around the estuary? Hmmm. I think the latter. Enjoy your day!